That's crazy. And very exciting. 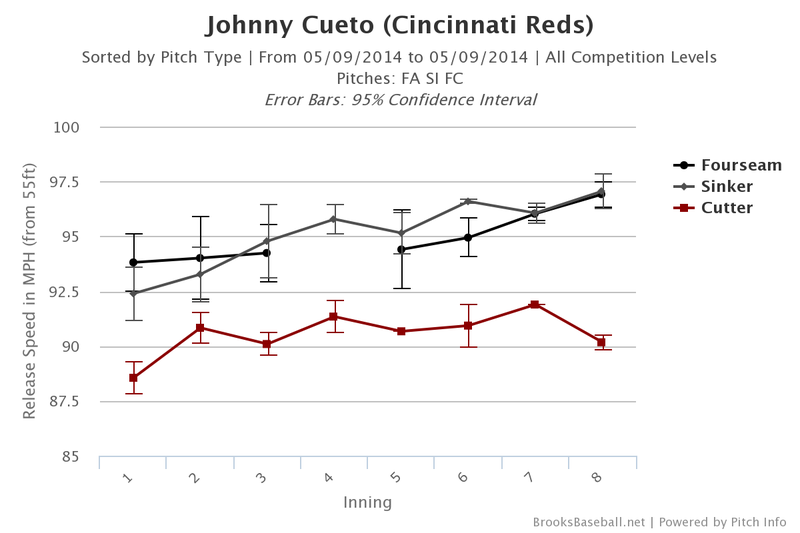 Cueto is having an extremely special season right now. Now, I will say that I have seen some claims that spikes in velocity can precede injury. The logical argument is unclear to me, but I think(?) the idea is just that extra velocity = extra strain = extra risk. But the only evidence I've seen for this was Matt Harvey's 2013 season. In any case, I'm choosing to be excited about this. 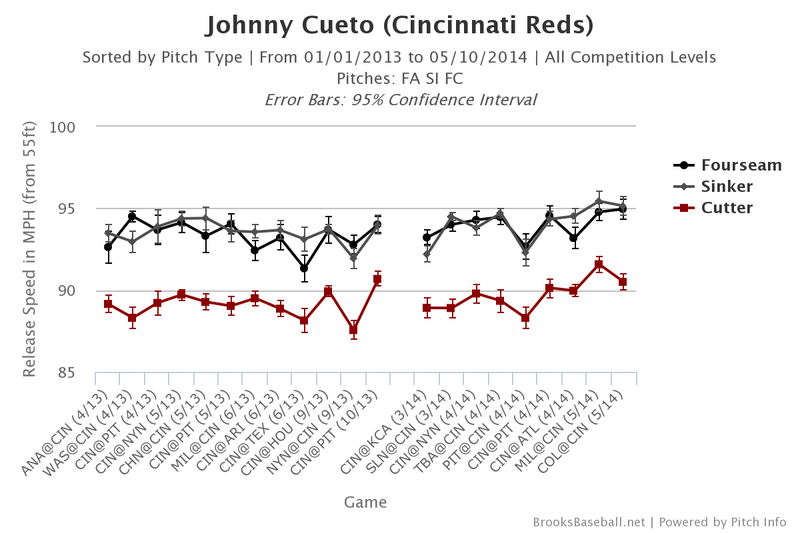 Cueto has been beyond fantastic this season, and I'm enjoying every minute of it.